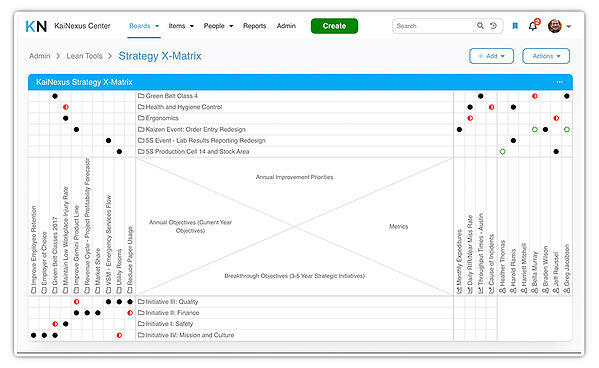 Hopefully, your organization uses a strategy deployment method (aka Hoshin Kanri) to determine your most essential objectives in the next three to five years. If you find that progress is not being made, it probably isn’t because your team isn’t working hard, it’s far more likely that they just aren’t working on the right things. 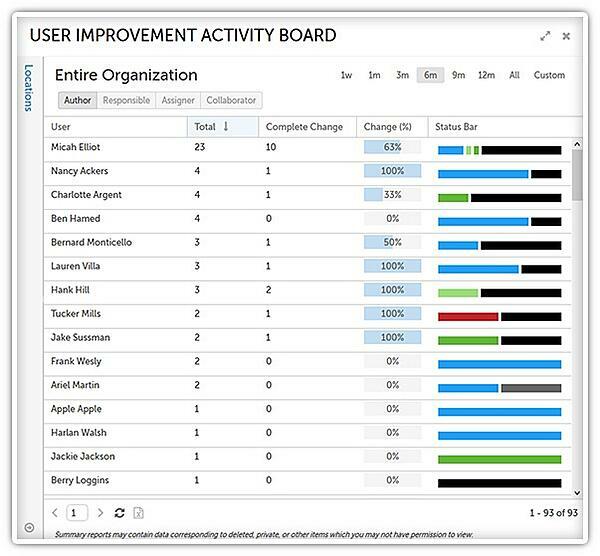 Visual task management, especially when done digitally, gives leaders insight into which projects are in progress across the entire organization. They can make sure that the work being done is in alignment with the strategy and that the most critical items are given top priority. To-do lists are fine for simple jobs, but if you have improvement projects that consist of multiple processes, more than one team, and an array of individual items to complete, a simple list won’t suffice. 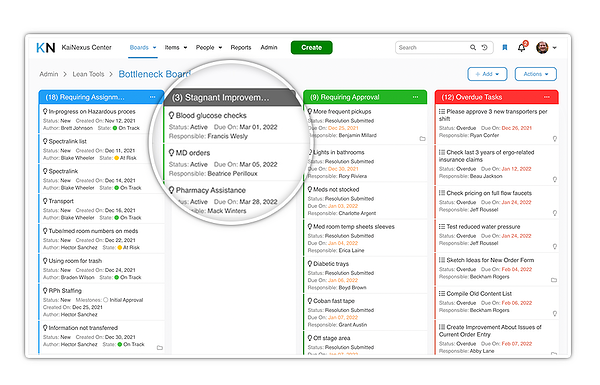 The beauty of visual task management is that it makes it easy to digest complex information. It only takes one second, for example, for an employee to understand how their efforts fit into a larger whole. Task prerequisites and dependencies are easy to identify, and milestones stand out. If you have many projects that get off the ground, but never make it to the finish line, visual task management is probably right for you. It helps to identify where the roadblocks are happening and potentially even find challenges that are hampering more than one project. 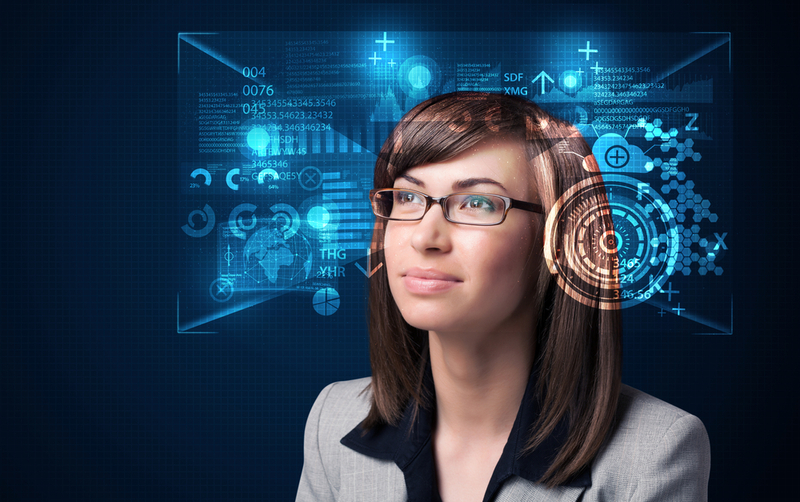 Ideally, every part of the organization will be working at capacity, but not overburdened. This is almost impossible to achieve if the state of work in each function is not documented visually for everyone to see. Instead of pushing work blindly into team members’ queues, tasks can be assigned with a better understanding of capacity. This not only reduces the likelihood of process blockages, but it also improves collaboration and communication. If your team works from multiple locations or includes remote workers, digital visual task management is even more essential. Distributed teams can be successful, but the distance creates challenges no matter how dedicated and capable the team members. 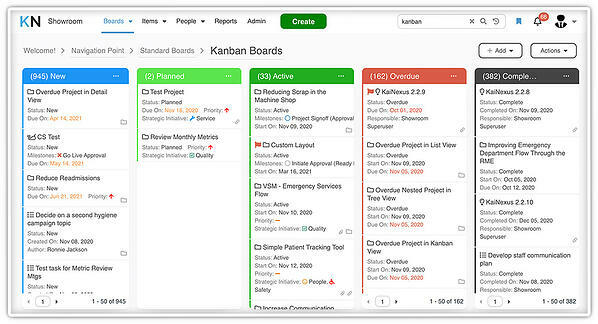 An online management tool such as a Kanban Board, helps everyone feel connected to the work. If meetings have become more about updates and “bringing everyone up to speed” than solving problems and discussing ideas for improvement, visual task management can help. With a single version of the current state of work, there’s no need for endless review and repetition. Everyone knows what’s happening because it’s on the board. Start your meetings with meaningful discussion, not a recap. Navigating a new organization is a challenge even for the brightest new-hires. Our clients have found that introducing visual task management makes bringing new folks up to speed more efficiently. That’s because it makes it easy to understand how they fit into the bigger picture. It helps explain what everyone is working on and why, and it gives managers a useful tool for recognizing the contributions of new players on the team. Visual task management does not take the same form in every organization, but it is an excellent tool for overcoming these and other common business challenges. It turns out; our moms were on to something after all.